We read with dismay the final report of the Provincial-Territorial Advisory Group that was published on November 30. The 43 recommendations in the report clearly have no other goal than the unfettered promotion of euthanasia and assisted suicide throughout Canada. The report’s authors abandon all caution, make no attempt to prevent harm, and demolish all the safeguards, however minimal, that the Supreme Court of Canada included in the Carter decision, interpreting them all with the undisguised intention of mandating death on demand for everyone. Next, it recommends extending to nurses and physician assistants the power to cause death, and recommends obliging persons and institutions who refuse to participate to find someone willing to carry out the act in their place. According to the authors, the State should even finance all procedures for euthanasia and assisted suicide, and life insurance payments should be guaranteed for the relatives of the deceased, opening the doors wide to financial abuse and to pressure on those who are sick or elderly, and afraid of becoming a burden on those around them. Among the long list of measures proposed to facilitate the path toward suicide or euthanasia for some, and forced compliance for others, we find one that is sufficient to remove any credibility that might remain. In their passion to expand the reach of the law, the authors propose that “Where there is limited physician supply, provinces and territories should enable virtual physician assessments and visits using telemedicine services (or other video-based consultations).” Such a recommendation shows contempt for both the crucial importance of human relations in medicine and the value of people who are living through vulnerable moments, in addition to threatening the lives of those whose symptoms are not well controlled for lack of access to medical treatment. Finally, while the Belgians express their concern about the havoc caused by their law, the authors of the report seek to open the floodgates beyond anything that occurs elsewhere, even in the most permissive jurisdictions. All the recommendations in this report are open to the most subjective and potentially irrational interpretation, throwing medical expertise into the bottom of a trash can filled with legal vacuum. 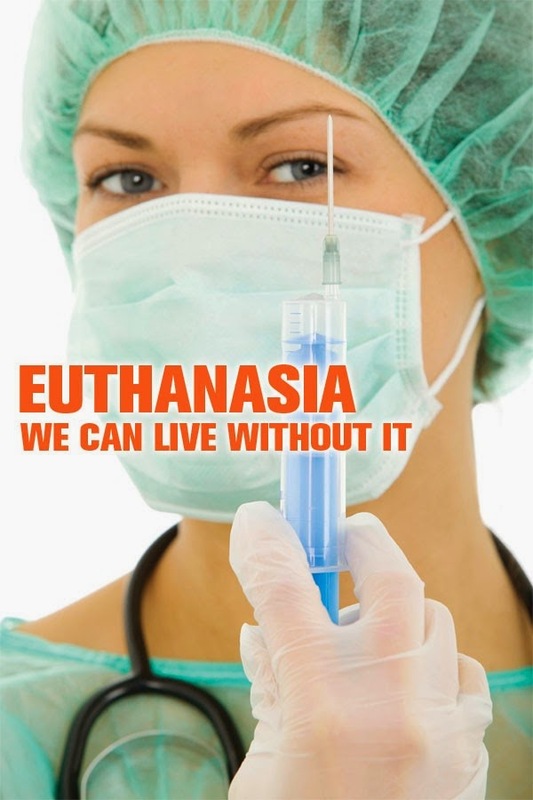 In conclusion, this unconditionally pro-euthanasia and pro-assisted suicide report contains such outrageous proposals that Canada would lose all credibility on the international stage if it were to serve as the basis for any federal, provincial or territorial legislation. Its approach, campaigning for universal access to death on demand instead of for high quality health care, relegates the care and safety of sick Canadians to the bottom of the priority list. In addition to its endorsement of death on demand for all, the report also recommends establishing a national program to actively promote it, so as to sustain the myth of death as a public benefit. Such a policy of death on demand is completely opposed to the political and social optimism announced by Prime Minister Justin Trudeau in his promise of "sunny ways" for Canada. This is so wrong in every way. What are Canadians thinking? Or should I ask 'not thinking'? Ann J says: do these authors of this pro-euthanasia and pro-assisted suicide report think they will never grow old, get seriously sick or handicapped and not want to face death by legislation? We are not the one who decides when to die. So many children and people with handicaps teach us important lessons. Some do not even know they are because they adapt to their handicap and amaze us with what they can do!